Hey Girly Girls! I have no doubt that Rodan + Fields has been making it on your Facebook feed a lot lately. You probably even know someone who is a consultant and raves about their products constantly. I am hear to tell you there is a reason for all the buzz, the stuff works! So let me tell you a little bit about my introduction to Rodan + Fields. My good friend Tracy, you may remember her as a Girly Girl contributor awhile back. Well, she called me one day and told me about this new business opportunity she had started, selling skincare. She mentioned how great all their products were and she was eager for me to give them a shot. At the time I checked out her website and like I am sure many others have, thought holy cow this skincare line is pricey. Needless to say I did not buy anything at this point. Than a few weeks later I met a woman at church, her daughter and mine became friends so we introduce each other so we could plan a playdate for our girls. She handed me a card and lo and behold she was also an R + F consultant. Small world! As weeks passed I started hearing and seeing more and more about this "Life-Changing Skincare", my Facebook feed was on fire with the most unbelievable before and after photos, and one day this photo popped onto my feed. This photo was different because I actually knew this person, my good friend Tracy. She was promoting R + F's top seller Lash Boost. 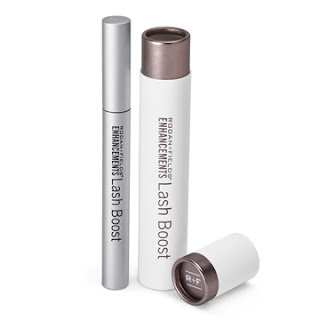 A nightly eyelash-conditioning serum that features a unique proprietary formula that improves the appearance of lash volume and length for lashes that are 100% real, 100% yours. In weeks, you’ll be wondering if you need mascara at all. My first thought was no way are those her lashes, I mean I know Tracy, when we lived in Alaska I saw her daily, these are not the lashes I remember. So immediately called her up to ask her if she was lying of course, Tracy and I have that kind of relationship. After hounding her for several minutes I decided she was telling the truth and yes, I broke down and bought some Lash Boost. Guess what?! I don't regret it. My eyelashes literally started touching the tops of my eyelids after only a few weeks of using this product, I got so many compliments and people asking me if my eyelashes were real. They are long see! Here is a closeup I just took, they are loooong. Let me tell you I have now had a change of heart when it comes to R + F prices. When you think about all the products us ladies spend on skincare from cleaners, toners, night creams, day creams, eye creams, etc. R + F prices actually make sense, especially when you are getting high quality products that really work. Not to mention I have several friends that started using a R + F skincare regimen and are now spending less money on makeup because their skin looks so great they just don't need it. I am planning on trying their Reverse Brightening regimen next. It normally retails for $190 but if you become one of Tracy's preferred customers you get it for $171! I have some great deals to share with you if you have been on the fence about trying Rodan + Fields. Tracy would like to give away 3 mini facials and 1 sample Hydration Serum to three Girly Girl readers. To Enter: Leave a comment on this post. You can get an extra entry You can get an extra entry by trying out her Solution Tool. Make sure you post an additional comment saying you did. This giveaway will end on December 6, 2017. I will choose the winners using Random.org. Please leave a valid email address if it is not visible in your profile. US entries only. 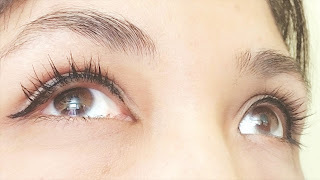 In addition if she gets 3 people to order as a Preferred Customer (make sure you tell her Girly Girl sent you) I will set up another giveaway for a Lash Boost valued at $150! Anyone who places an order as a Preferred Customer will also get a $20 rebate. So go check out what all the R + F buzz is about! Stay tuned because I will be posting 12 Days of Christmas Rodan + Fields specials right here! Although I am posting on behalf of product consultant, all opinions expressed in this review are my own and not influenced in any way by anyone. I usually need more hydration during the autumn and winter months and this would surely be an excellent treat for my dry skin! Living in a very dry climate, I'm always looking for good hydration solutions. Trying her solution tool gave me some good suggestions for products to fit my needs. I've heard wonderful things about Rodan and Fields, so I'd love to try it out for myself. Thanks for the chance to win! 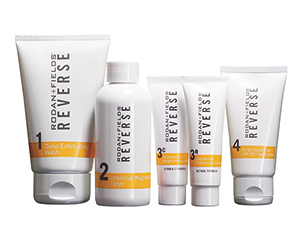 I tried the solution tool, and it suggested the Redefine regimen for me. I live in a dry state and could really use this! I really like the lash boost results. I would love to try this. My skin has been changing and I am looking for a solution. Thanks. I completed the tool and Redefine Amp it up was suggested for me. I would love to try this product. Its a great brand. Thanks for the giveaway, I have seen really good things about this brand! I would love to try! Rodan +Fields has been all around me but I haven’t tried it yet. I’d love to win! I LOVE the lash boost!!! I also really love the refine solution kit. 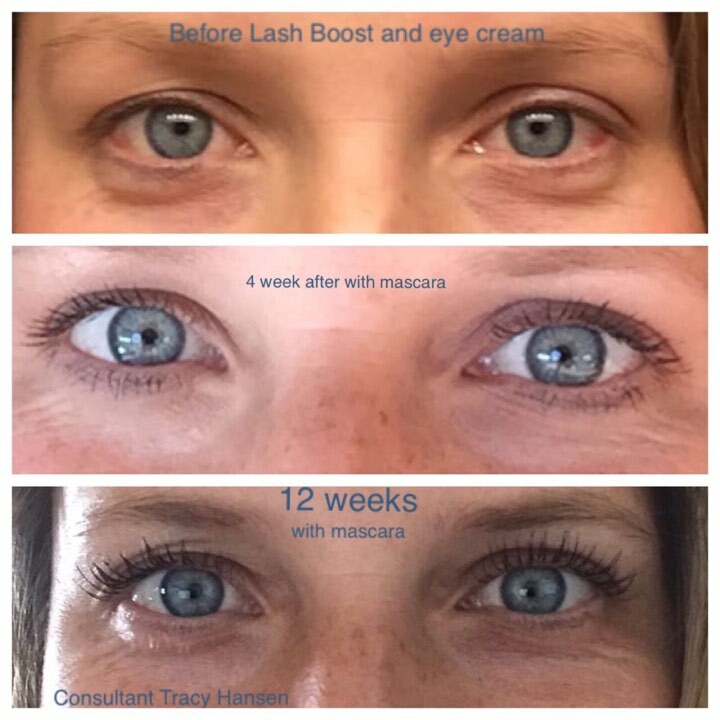 I would love to try the Lash Boost! The solution tool suggested the Unblemish regime for me. Rosen & Fields products look like it gives great results. Facials are great for helping to moisturizing your skin. I used the Solution Tool and found what Regimen would be best for me which is for Sensitive Skin. I like the excellent tips given. I've heard great feedback on R+F products, would love to try some! would love to try this I am out side on the pe field everyday and starting to get lines .. I have been waning to try Rodan and Fields for some time now. My friend has used it for her lashes and they have doubled. i would love to try this!! thanks! Wow - great results on your lashes! Hope I win the giveaway!